Welcome to our wellness studio! 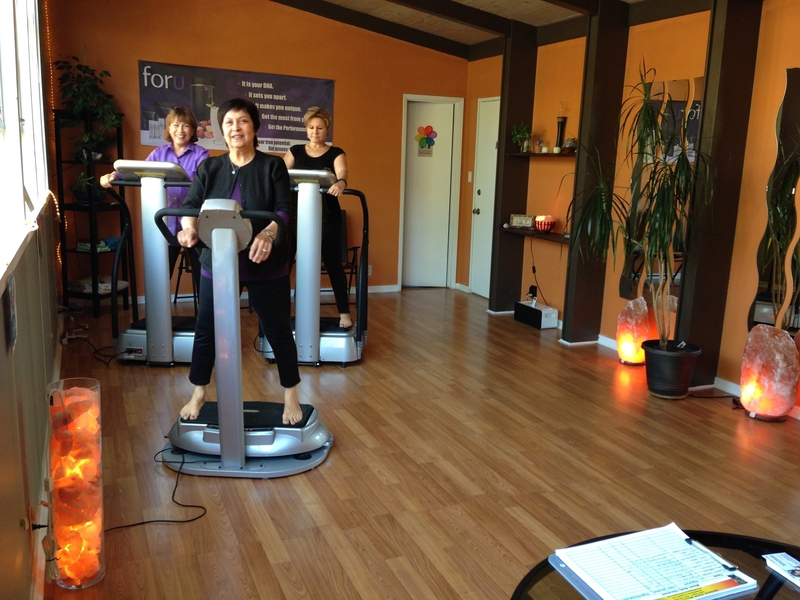 “I experienced 11 minutes on the Whole Body Vibration Exercise yesterday. I have been having some neck and foot pain lately. We are very happy to see you here: it means to us that you are looking and are ready to have more joy and harmony in your life! We are passionate about empowering people to find their path toward a healthier, more harmonious and happier life! We are creating an effective and comprehensive system,customized for you to help YOU reach your goals and bring your body and life back to balance. Our approach includes cutting edge tools like customized nutrition, Whole body vibration, Infrared crystals therapy, Deep transformation methods (FootZonology, Access Consciousness Bars, Bio-mimetic Mimicry, Energetic Facelift, Tapping into Wealth, Sacred heart Healing, Confidence Coaching) and Deep relaxation and healing methods (Reiki) . Of course, you can be selective and use only some of our tools and still get great benefits. It is totally up to you how fast you want to achieve your goals. And a little warning 🙂 , somehow the connection between me and my clients always ends up being a very warm connection like real friends based on respect and appreciation. If you are ready for that please visit our healing studio. Please fill out the New Client Questionnaire before your appointment.